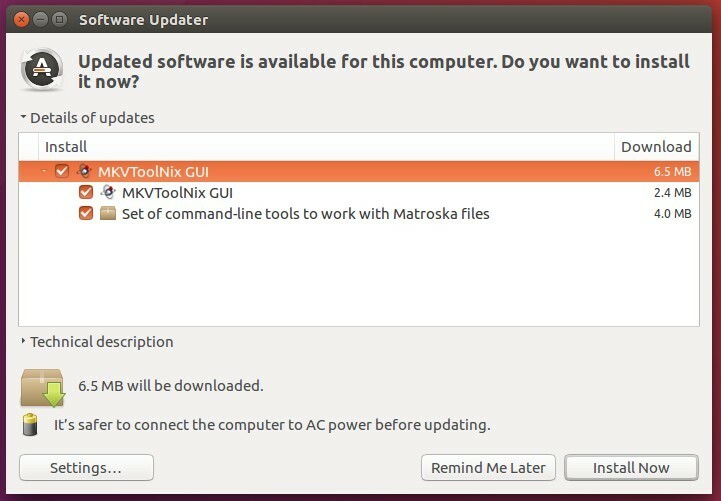 MKVToolNix, the free and open source Matroska libraries and tools, has reached the 9.9.0 release a few days ago. Here’s how to install it via PPA in Ubuntu 16.04, Ubuntu 16.10, and Linux Mint 18.
chapter editor: added a character set selection in the preferences for text files. multiplexer: added a column “character set” to the “tracks, chapters and tags” list view showing the currently selected character set for that track. mkvmerge: MP4 reader: “ctts” version 1 atoms are now supported. Various MP4 input module fixes and other fixes. 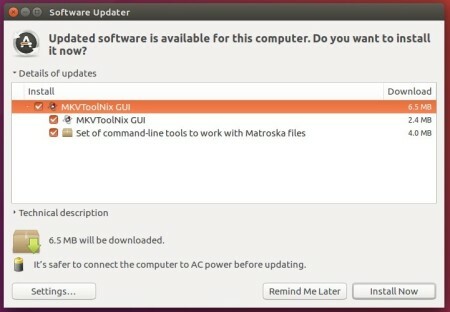 The new release is available in its official Linux repository for Ubuntu 16.04, and Ubuntu 16.10.
replace xenial (16.04) with yakkety for Ubuntu 16.10.
version 9.9.0 not work in Ubuntu 10.04 or 14.04? Nope, the repository does not offer version 9.9.0 for Ubuntu 14.04 and older.